Ascending Butterfly: Winner Announcement - Ascending Butterfly's Linea Pelle Dylan Disco Clutch Designer Bag Winner! 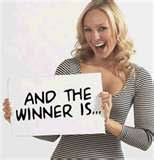 Winner Announcement - Ascending Butterfly's Linea Pelle Dylan Disco Clutch Designer Bag Winner! Congratulations to * 'Amber' confirmed winner of Ascending Butterfly's Linea Pelle Dylan Disco Clutch Designer Bag Giveaway! (And I know we have multiple 'Amber's' as members, so to confirm, Amber has already confirmed her win and sent us her contact information). Join me in congratulating our winner! We would like to thank our sponsor, Linea Pelle, for this great giveaway! We look forward to working with you again soon! Check out Linea Pelle's item of the week HERE! Thank You for choosing to spend a part of your day with Ascending Butterfly; and Remember to enter our active giveaways on the upper right hand side of the page! NOTE: The Shift (Hardcover) by Dr. Wayne Dyer, our March book club selection closes TONIGHT at 11:59pm EST so please get your entries in HERE) And of course the latest bag in our 'Spring Into Bags' 2010 Special Feature has launched, enter to win the Sierra Cross Body Leather Bag HERE! And if there is a room in your home that could use a Spring Makeover, enter our 'Spring Into Renovation' Giveaway HERE!